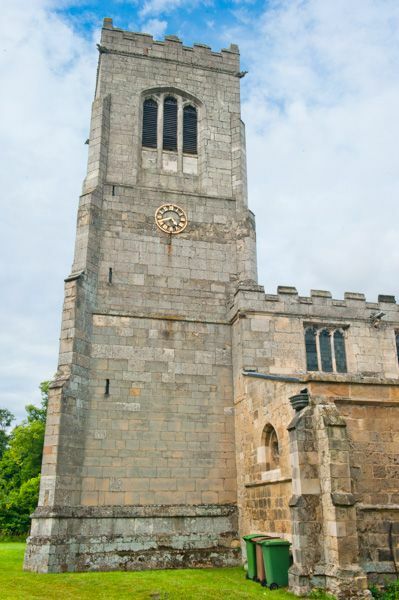 The historic 13th-century church of St Martins is tucked away on the hillside immediately behind Burton Agnes Hall and is well signposted. The first thing you notice about St Martins is the approach to the entrance, which is by way of a striking arch formed by the low branches of yew trees, so that you feel like you are walking down a long tunnel, back in time, as you approach the south door entrance. Immediately inside the entrance is a simple Norman font in tub style, decorated with very well preserved interlaced arcading. So well preserved is the carving that I at first glance thought it was a Victorian 'faux' design, but it is the real thing! 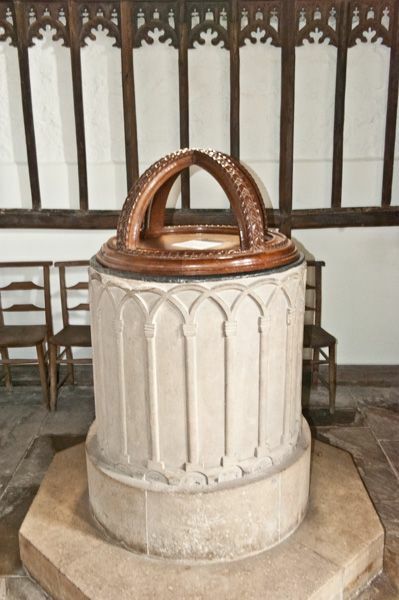 The font was lost for many years until it was discovered in the rectory being used as a flower bowl. The lovely oak cover was carved by the Thompson studios of Kilburn (the 'Mouseman'), who was also responsible for the lectern and its stand. The organ was built by the famed organ makers Henry Willis and Son of London and is said to have been brought to Burton Agnes from Rudston Hall. The most interesting historic features of the interior are to be found in the Lady Chapel, at the east end of the north aisle. 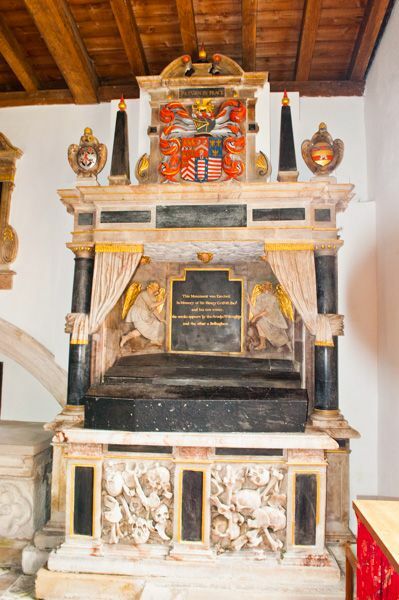 Here you will find tombs to the lords and ladies of Burton Agnes manor. 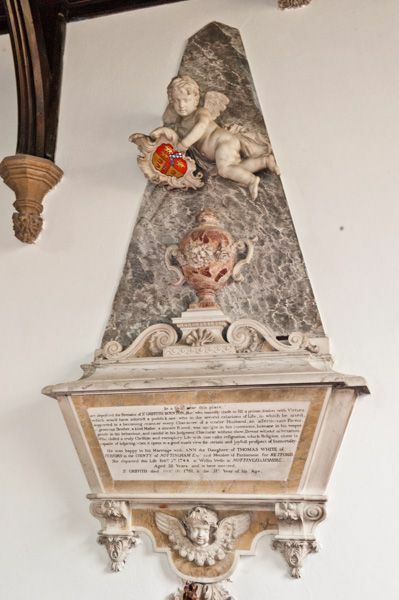 As you enter the chapel your eye naturally gravitates to an ornate table tomb with a pair of effigies placed in the centre of the chapel. 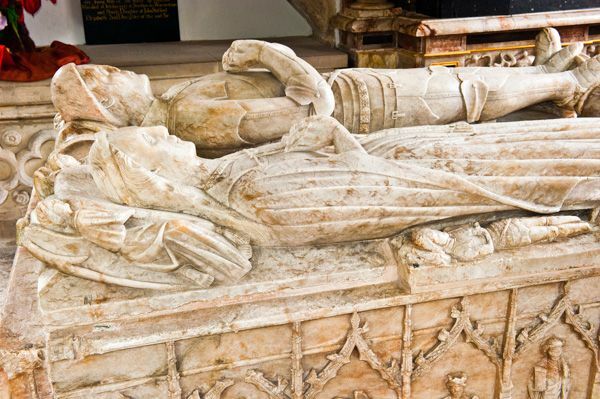 This is the tomb of the 'Dark Knight', Sir Walter Griffith (d. 1481), who fought for the Lancastrians in the Wars of the Roses. 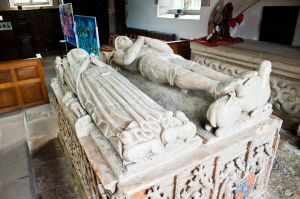 To the north of the Griffith tomb is a striking wall monument to Sir Henry Griffith (d. 1654) and his first two wives. Other monuments to members of the Griffith, de Somerville, and Wickham-Boynton families are arranged about the chapel. 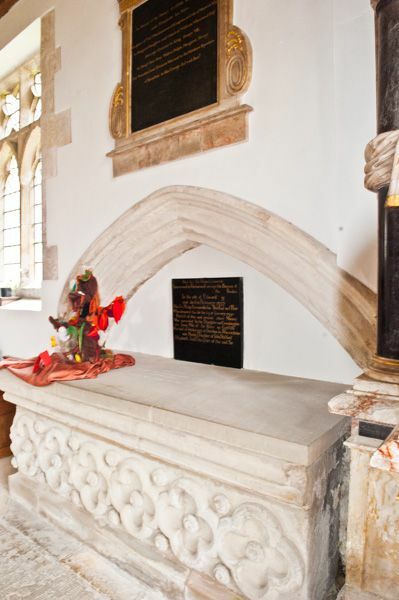 Around the corner in the chancel is a stone carving of a rather severe-looking William Wilberforce, place here by his son Robert, who served as rector of Burton Agnes from 1840-1845. Robert Wilberforce also presented the east window in memory of his famous father. High on the north wall of the south aisle are lovely carved heads, which may look out of place here; this wall was originally the exterior wall, but when the south aisle was added the carvings now found themselves inside. 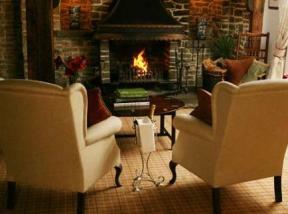 Location: Directly beside Burton Agnes Hall, signposted.